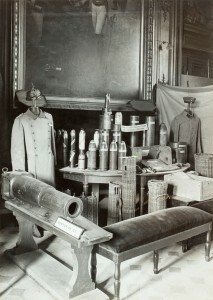 Uniforms and unexploded shells of various calibres – with their wicker carrying baskets, visible in this photograph – displayed in the great hall of the Musée de l’Armée – have a common origin: Germany. 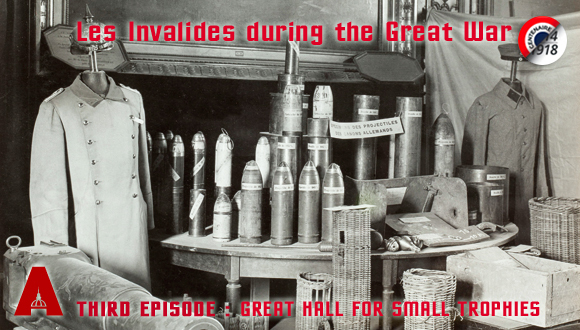 They are the equivalent, but less voluminous, of the cannon, aircraft and other machines displayed in the main courtyard, on the balconies and even in front of the main façade of the Hôtel des Invalides. 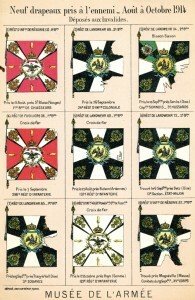 For information, General Niox, director of the Musée de l’Armée, a nd his team, have labelled each of the objects so that the public can identify them. 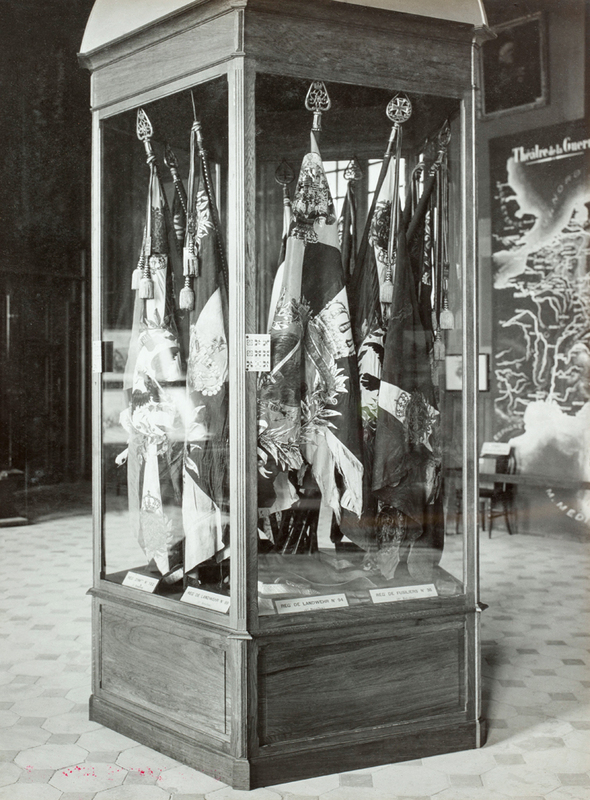 The somewhat improvised nature of this installation can be guessed from the benches and old cannon from the past, placed as if put to one side, to protect them from visitors, and from the hangings on the panelling, there to separate the articles divided up by theme. 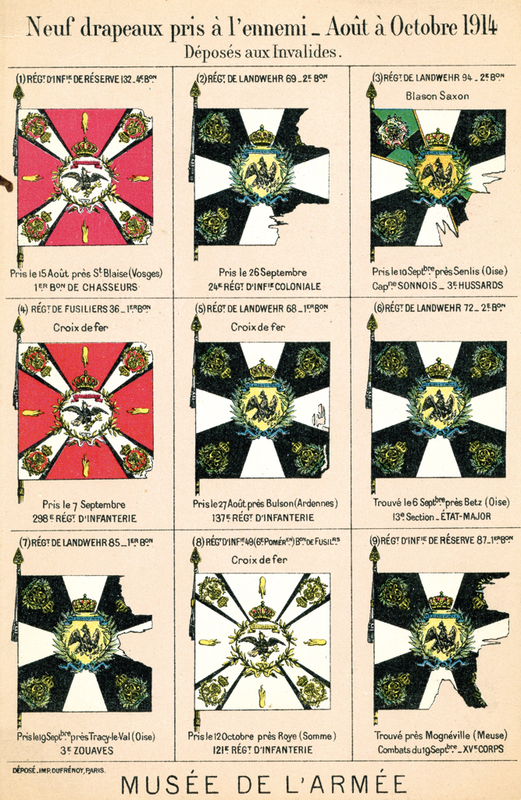 The painting of Baron Antoine-Jean Gros, (1771-1835) entitled General Lariboisière saying goodbye to his son, a lieutenant in the 1st Rifle Regiment, at the start of the battle of the Moskowa, on 7 September 1812 shows how the great hall was previously arranged. 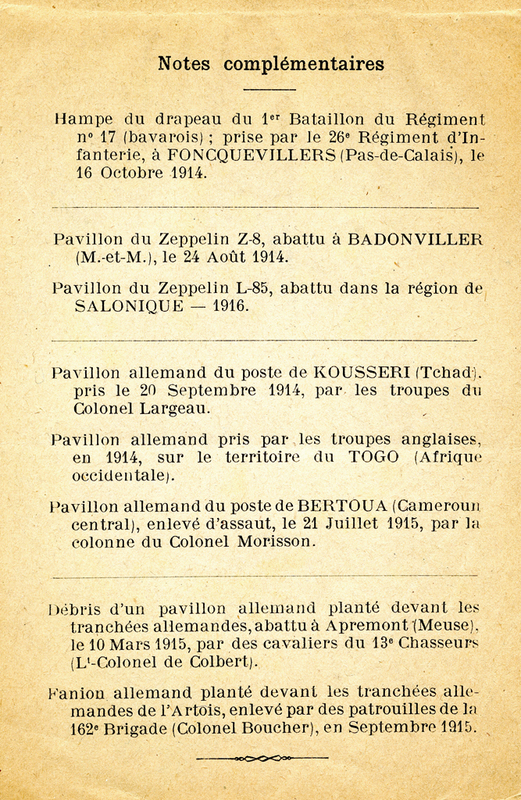 Have you noticed, in the photograph above, this postcard, published by the musée de l’Armée ? 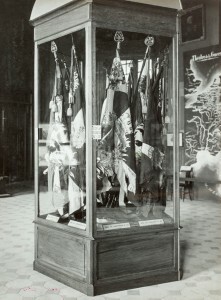 Placed at eye level on the display case, it describes 9 flags captured from the enemy, with notes about each one of them.